Painting the base colours. I used Regal Blue mixed with black, a non GW silver, Bleached Bone and Bronzed Flesh. For shading; I left the blue as it was having used quite a dark mix for the base, Black ink on the silver (I’m not happy with the result so I will be re doing the base on it. The Bleached bone cloth areas had a watered down dark brown and the flesh was reapplied with Bronzed flesh again. First stages of highlighting for the blue I used a mix of Ultramarines Blue and Enchanted blue, applying a second mix with more Enchanted blue. I just touched around the edges of the corset where my eyes and finer touch were able to co-ordinate. The liturgy cloth areas and parchment were highlighted with Bleached bone and a brown mix, adding more Bleached bone and then adding Almond and White into the mixes. There’s still detailing and touching up needed. 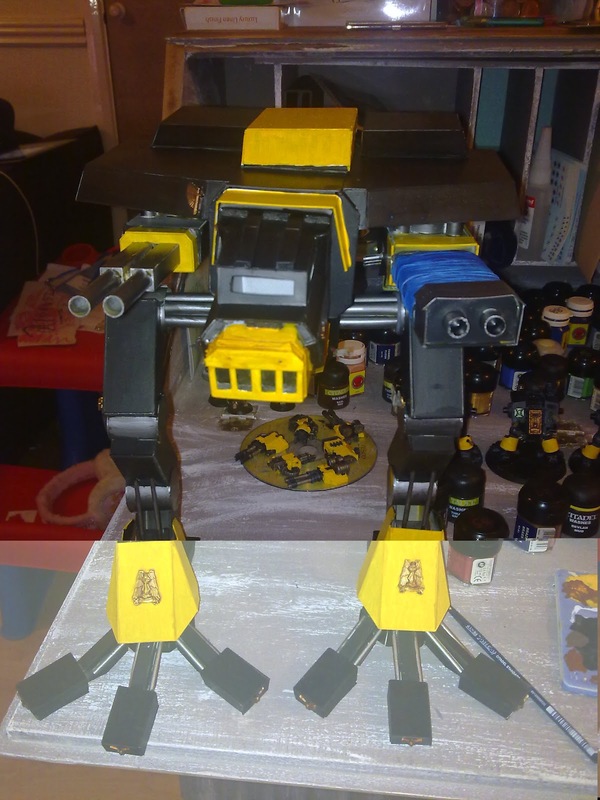 I will post the finished model in the near future. Trevdog. Sister’s Repentia – Painting Although I’ve collected the Sisters of Battle figures for a long time now the last painting frenzy on this army was about ten years ago. Yes I know, 10 years! More surprisingly is the fact that my army has survived, sorry got hammered, without any form of harder hitting units that Seraphim until now. To be honest I didn’t really like the Repentia models. Can’t really put my finger on why. Anyway, I ordered some and had some donated. Sprayed them white and got the brushes out. My Sisters order is called the Order of the Blazing Prophet. Their uniform sort of reflects this, a bleached bone armour and a midnight blue cloth type colour scheme. The Repentia are a little different because there is more exposed flesh. I thought the contrast would be missing if I had bleached bone and flesh dominating on the same model so I have used dark blue for the corset, silver for the metal plating and chains etc, and white liturgy and scrolls for the robes. Hope the pictures of WIP have downloaded ok.
There’s still detailing to be done. I’m quite pleased with the result. Now I’m beginning to like the models! ……..They were making good time and kept the pace high. Grunnson’s men could keep this up for days, even weeks. He knew he had to get to Dunterswald before the Skaven. They were up to something big and bad, so a spy from the hold had reported. He’d heard the Skaven had been extending their network further north along the border of the Laurelorn forest and into the Wastelands. The reason why escaped him. The Clans had been amassing and dire warp engines had been at work deep in their lairs. The spy had come across several references to a relocation of O J Backstabber’s clan to the Wastelands. A mission was going ahead……..
………”Only eight food stops master!” squealed Gibitt to O J Backstabber who was looming over him brandishing a dirty curved blade. “Seven, no more!” ordered O J as he sank back down off his tip toes. If he was ever to get his clan to the meeting with the Dark Elf Things in time he had to be quick quick. Dragit Red Eye had primed the boy and all was set for his big creation. His tail swished with excitement. All he had to do was get to the boy and take it from there……. Admittedly he had bargained with the Dark Elf Witch Thing, Lady Maleficent, to bring his cunning plan together. She would bring her magic cage and once this first monster was contained another and another and another would be made flesh. He might let her have one. Squeek squeek squeek! he sniggered……..
……… a silent black tide rolled off the sea and onto the Wasteland. Lady Maleficent made an almost unnoticeable signal to her army to send them into the next stage of her plan. Not far now. Dark comforting thoughts of what she would do with the Skaven’s monster when it was in her hands gave her a thrill. O J Backstabber had promised her one when she had performed her part of the bargain. She hadn’t got to be where she was now by following any bargains to the letter. She would watch out for OJ. Meet him at Dunterswald. Well, there was another threat in the form of her hated High elf cousins following up the coast. She would warn the Skaven. Need them on her side at least for now. Then like a dark shadow the host dispersed into the barren land. insistent that Aldred keep them safe in the barn. Big people weren't to know. the barn when the cat was around. him with a stare and then uttered words to him……. happened. And day after day it grew a little bigger. the well. Off you go then." dull thud was the signal this time. "Ma! There's no water in the well!" Aldred cried out. The final part of Cloak and Dagger the report will be published tomorrow! So this is part one of a three day run down of Cloak and Dagger our Easter Warhammer Battle. Today's post will describe the prologue to the battle. Tomorrows post will bring you the background story and lastly the report post will bring you the battle report which will be published on Thursday. 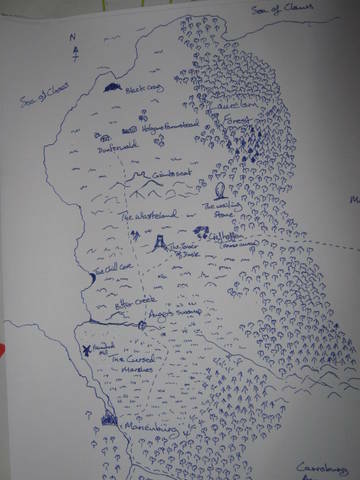 One hundred and thirteen miles north of the large sea port of Marienburg on the west coast of the empire, literally just inside the border of the empire and the northern wastes is the village known as Dunterswald in the Wasteland. Holgan’s farmstead is near to the village and has been the attention of the Skaven for some time. A good reason for a slave raid by the Dark Elves perhaps, but why have they joined up with the Skaven? The Dark Elf raiding fleet is quite a size and is able to slip into a remote and quiet part of the Empire's coast. The Skaven have been hard at work extending their tunnel network and have a sizeable hoard waiting in the dark tunnels. In anticipation of the "Dark pointy things" arrival the Skaven have infiltrated Holgan’s farmstead close to the coast. This will be the rendevous! However, the Elves in white have had wind of their dark cousins movements toward the Empire coast, having recently had a naval engagement and lost to their cousin’s much larger fleet. This fleet was heading at speed. Word was then sent to a High Elf contingent that has a small fleet that passes the port of Marienburg at times to go and warn the empire of the approaching Dark Elves. The Marienburg forces are currently dealing with a threat from the Northern Wastes to the north east of the Empire and have little in the way to send up to meet any raid on their coast. 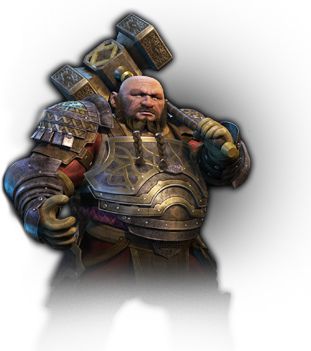 Fortunately, a large force of Dwarfs that had agreed to help bolster the Northern part of the Empire had arrived in Marienburg around a month ago. They have agreed to secure the West coast. The Dwarf lord met with the Marienburg Count Elector and a High Elf emissary to agree joint action against the Dark Elves. cause he can fix any situation. He's an engineer turned general! Likes experimenting and he’s had some of his experiments stolen by the sneaky Skaven. 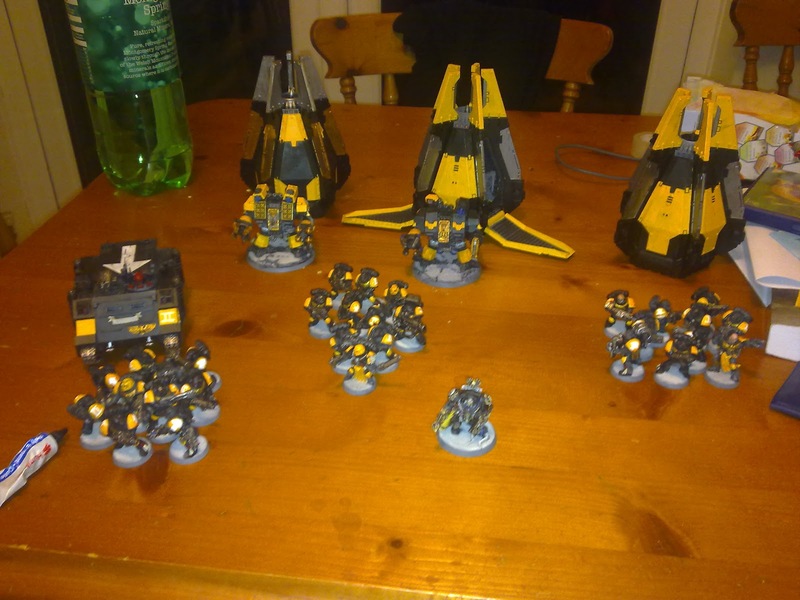 Ironically the corsairs didn't make the trip over the Sea of Claws and are still in the Land of Chill awaiting a paint job. On this raid only Lady Maleficent will be present as the Count's Dragon gets sea sick, plus he's allergic to cannons. The rest of the family will probably be there along with lots of spiky death. My general is O J Backstabber. He’s climbed and backstabbed his way up the Clan to become top rat. Part of his plan is to extend his tunnel network up to the Chaos wastes, and ultimately become a member of the Council of Thirteen. 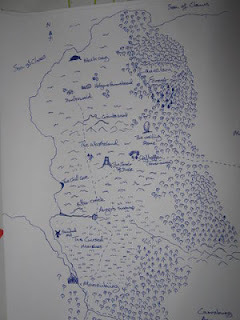 So this was our start to the process of us creating a game around the fluff and to be honest, with every player having played WFRP at some point of time it suited us all. So as stated above tomorrows post will bring you the fully developed background for the game. So this is it, my final review of the last few weekends, and now Carnage. Again this event is not a WAAC tournament, but a nice friendly arena to play lots off 40k games. The set up was 4 games at 1250 on the Saturday, followed by 3 at 1250+500 (1750) on the Sunday. The second list had to include the first list with no modifications. Wins and not get too blown away by any "power" lists. Game 1: was against a 7 model grey knight list, Draigo, 2 Paladins, 2 Venerables, and 2 Dreads. unfortunately for this guy he only had 2 fist on his verneables that could hurt me and in the end even though I was locked in combat with paladins with a 2++ I eventually killed all his army apart from Draigo who was on 2 wounds. A good start. Game 3: daemons...I have never like playing these and it was a diagonal setup and capture and control. I held my scouts in reserve ready to outflank as the objectives were close to each board edge. I maybe could have got a win if I had been a bit more daring, but I played safe and backed up my scouts on an objective and got a draw. So at the end of day 1 I was 2-1-1, and was more than happy. One more good game tomorrow and I would have the result I wanted. Game 5: Necrons. His list was mainly all the older models and he didn't have any of the new stuff, but having played against this type of list recently I knew what to do. It was capture and control, pitched battle. He set up 3 squads near his objective and played very defensive all game. My scouts got wiped out by his scarabs on turn 1, so 4 dreads had to drop in and deal with them straight away. One of my tacts dropped on my objective and sat there; while an ironclad and another dropped near his on the last turn I was able to contest his and won! 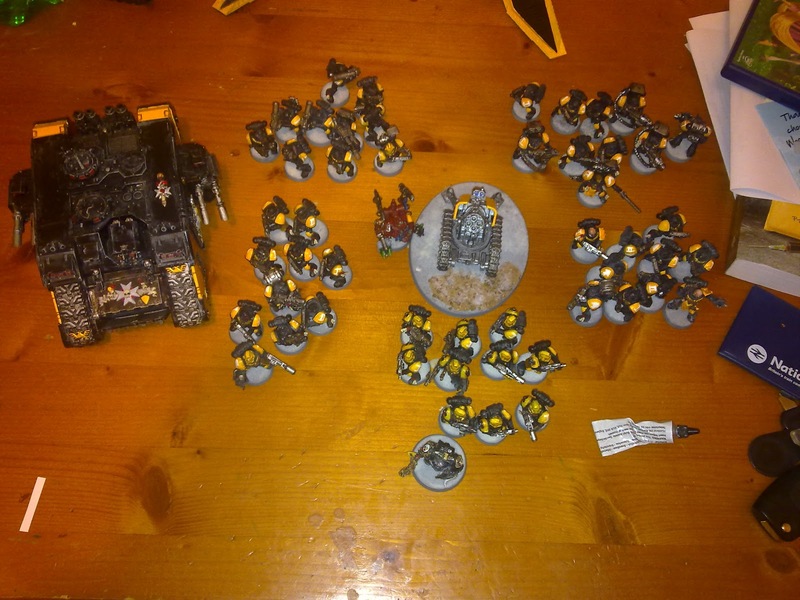 Game 6: Space wolves, kill points dawn of war. The worst combination for my list and against another elite space wolf list. There was not much I could do or play differently and got tonked 9-4 in KP. Game 7: Space Marines, terminators Kantor but only 2-5 man tact squads. My first turn I was able to pop a razorback and a landraider, but again attrition took its toll and I was unable to bring enough firepower to kill things quickly. Luckily he also had heavy losses and he only had left Kantor while I had a scout squad on an objective. Another win! Final score was 4-1-2, 140 ish points and 6th position. Over all the squad of the weekend were the scouts. Other than 1 bad game they were brilliant; causing pinning checks and even the odd glance or 2 on light vehicles. The list was surprisingly solid but did come unstuck at times against top tier list. I got beat in game 2 by the winner, beaten by 4th place and drew with 5th. Would I have done better with my dual raider Vulkan list? Who knows but I doubt I would have has as much fun. As mentioned in Hypa's post we got split up in to good guys and bad guys. No one wanted to take the mantle so I step forward in a brave and forceful manner and picked it up! I then found out that Hypa had won his first battle and he too was a force commander. We agreed that last game tomorrow we would face each other in the APOC game. My first game was Planetstrike defender for me. I also took up the good guy’s secret mission, which was at the end of the game have the highest placed model on the battle field. The battle was mainly decide on poor dice rolling on Docs part at crucial time. His destroyer lord had a total of 7 attacks (all of which hit) against Lysander, but only managed to force 2 saves. By the end of the battle the Necrons were completely destroyed and I claimed a total of 18 campaign points. Round 1 finished well for the good guys as we were 88-80 up. As we had such a good round I decided to spend some of the CP's on hired help. Just because we used them in the low point game doesn't make us sneaky! We just did a bit more finking than or orky friends. Next up I played a battle mission 1750. I was launching a surprise attack on some chaos marines and was able to drop in all my pods on turn 1! Wow I thought this helps me greatly and he had to set up everything within 12" of the centre. So I dropped in and my sternguard caused 14W on his daemon prince and he died. The 2 tactical squad’s meltas some rhino transport and my ironclads were to melta the land raider and then assault out of their Lucius Pattern pods into the contents of the raider which was zerkers and a lord....easy....or so I thought. First melta missed and the second failed to pen. But not to worry as I could still assault it.... first dread immobilised itself coming from the pod, but the second hit home and ripped apart the raider. Not a bad first turn. Things still went well for me in the second turn as he could only kill a few marines and my mobile ironclad while I wiped out his obliterators and got Lysander close to his berzerkers. After this things just never seemed to work. And I lost by a single kill point! A lot of people who had seen the first turn were shocked that I lost and that was the same for both me and my opponent. I still managed to pick up some valuable campaign points but the rest f the good guys started to take a bit of a beating. The rest of the good guys had performed just as bad and by the end of the first day we were way behind the bad guys. We had to go for it on Sunday so as leader I said I would do a planet strike attack. I was up against a tau list. Now while I won this game and got max campaign points it was no way an easy game. My one of my ironclads was in combat from turn 1 against broadsides then crisis suits and with a total of 27 attacks only killed some broadsides! It was terrible. I only had 4 models left at the end of the game, but I was touching all 3 bastions. 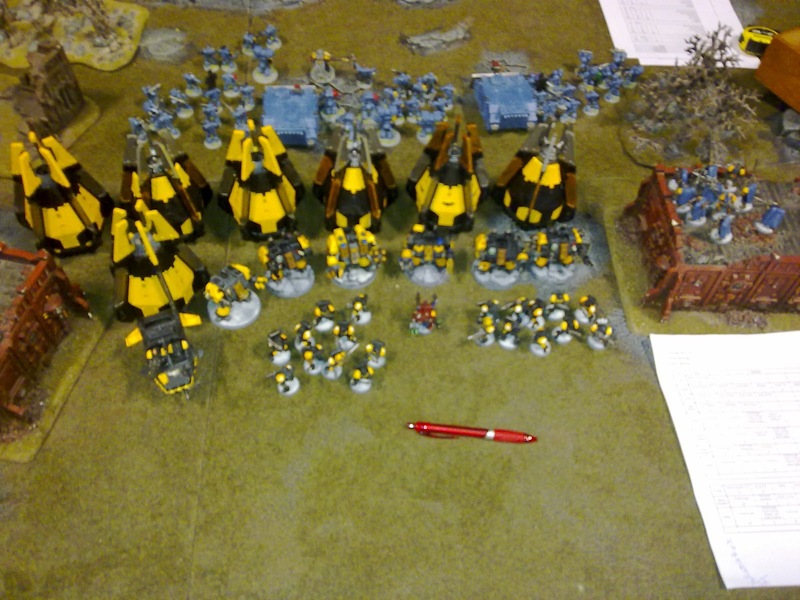 But alas my heroics were to no avail and the good guys were beaten 375-425. I finished 2nd overall with victory points and I was the top scorer of campaign points. Another great weekend arranged by the spikey club guys. 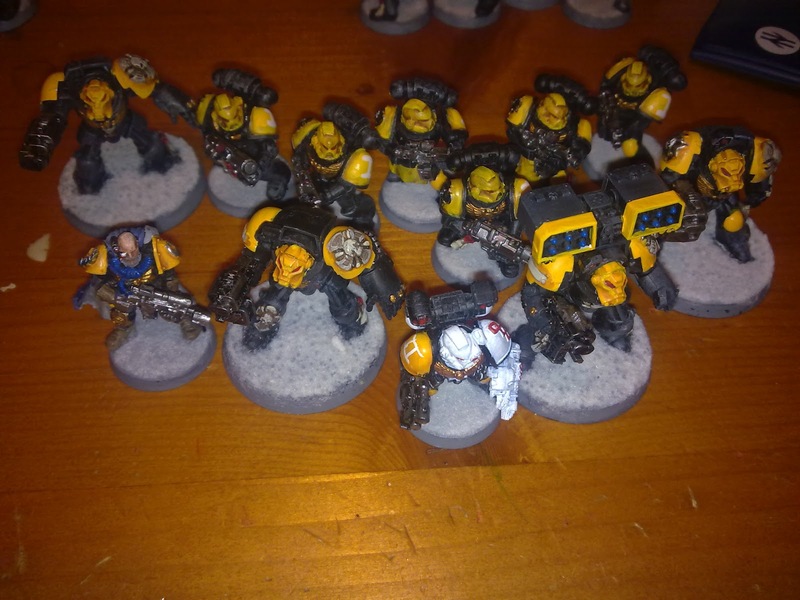 This is my first post here and it is my review of my 2 weekends of gaming. First up was SVA XII. yet again the guys at the Spikeyclub set up a great event to play in. here are my 5 different armies that i took. 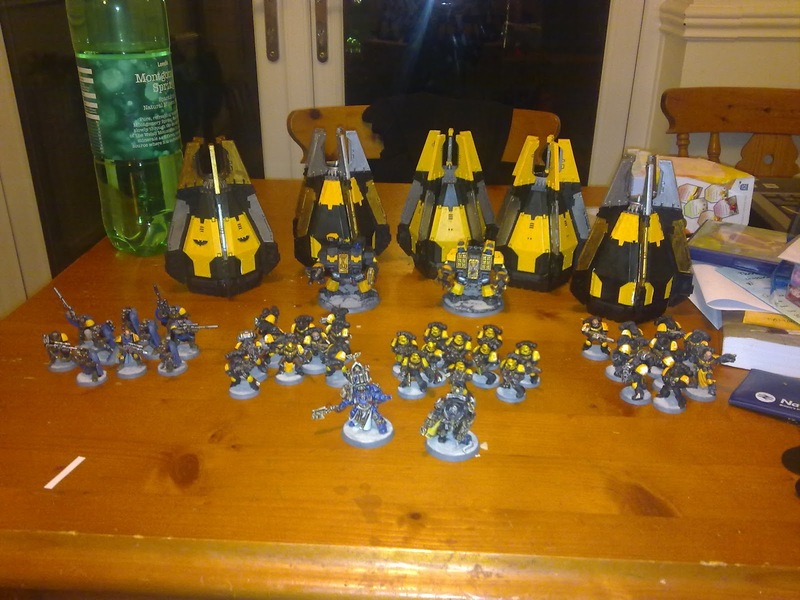 This was Lysander, librarian, 10 sternguard in pod, 2*10 tactical in pods, 10 scout and 2 ironclads in pods. 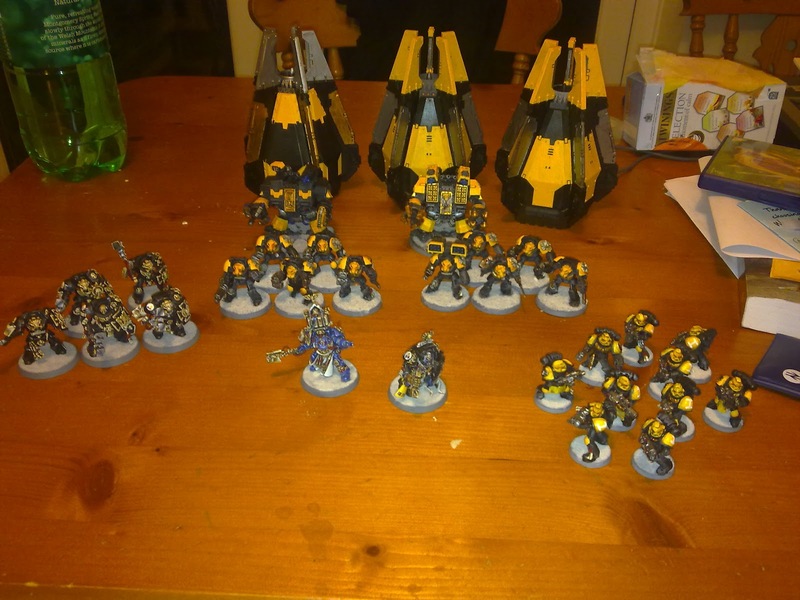 This was lysander, librarian, 3*5 terminators, 2 ironclads in pods and sternguard in a pod. all deep-striking and all elite! 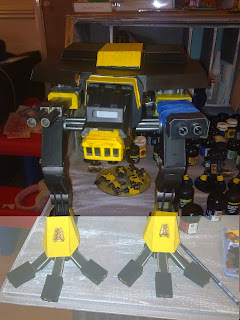 This had lysander, 2 * 10 devastator squads, 2*10 tactical squads, Thunderfire cannon, 10 sternguard and a land raider. 5 different armies, yet trying to keep a common theme throughout.